I had had enough. I’d had enough of carefully preparing healthy, delicious meals only to see my children reject them. So I made them cook. Yep. I told my six year old and eight year old they were in charge of dinner. And like they so often do, they surprised me. That night, Lola made scrambled eggs and whole wheat toast, Penn Charles put carrots and the hummus on a plate. Dang. That’s kind of … awesome. Since then, the kids have been in the kitchen helping prep meals and helping us create new recipes. The kids love watching the Food Network show CHOPPED. It’s a timed challenged where chefs us baskets of odd ingredients to whip up amazing culinary creations. The kids wanted to try their own version. 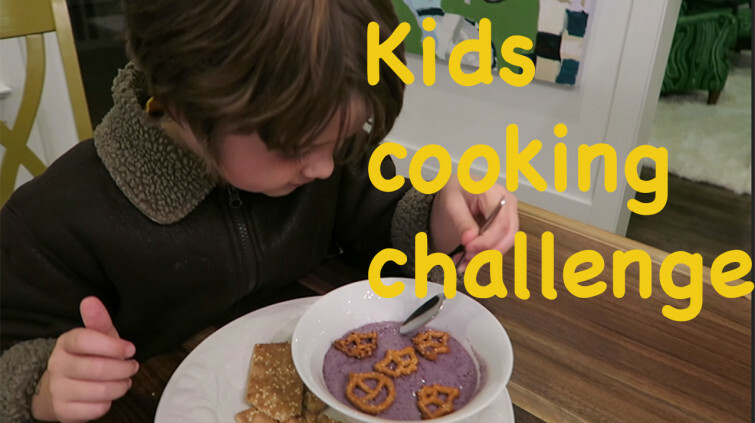 What kind of recipes can your kids create on their own?